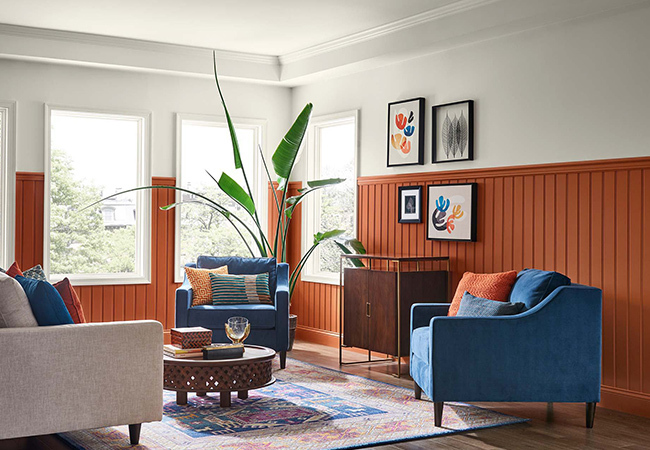 Sherwin Williams named Cavern Clay (SW 7701) their 2019 Color of the Year. 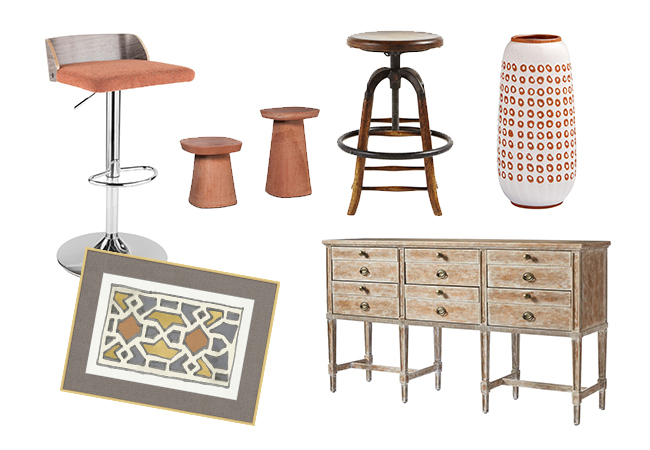 It’s an earthy hue, but not at all dull: it is as much a part of a Southwestern palette as a midcentury modern color scheme. Depending on its use, it can be playful or rustic, but it’s always casual and energetic. Color theorists believe that orange is an invigorating, uplifting color that stimulates the appetite. That makes it a clever choice for a kitchen accent color. 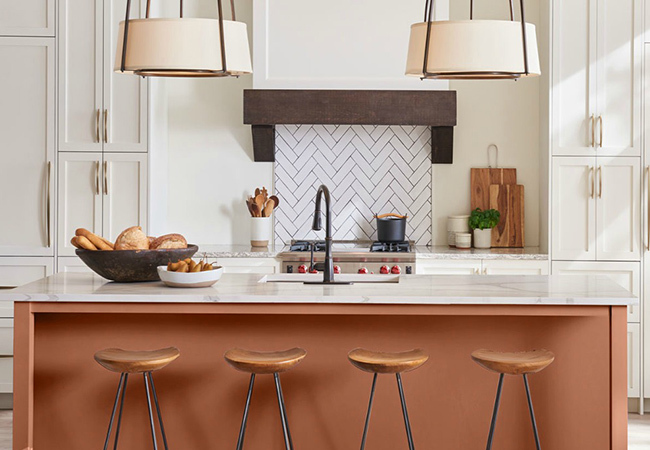 Used here on a kitchen island, Cavern Clay encourages guests to nibble appetizers over lively conversation. Cavern Clay brings the warmth of the outdoors in. This color looks great alongside natural, raw materials. Pair it with light tiles, warm stone, sculptural greenery, leather, woodgrains and desert plants, like succulents and cacti. Where else is Cavern Clay at home? Try it as a focal point, like a mantel or entryway feature wall. As a welcoming, natural color, it would be perfect for accents on a home’s exterior, such as the shutters and front door.